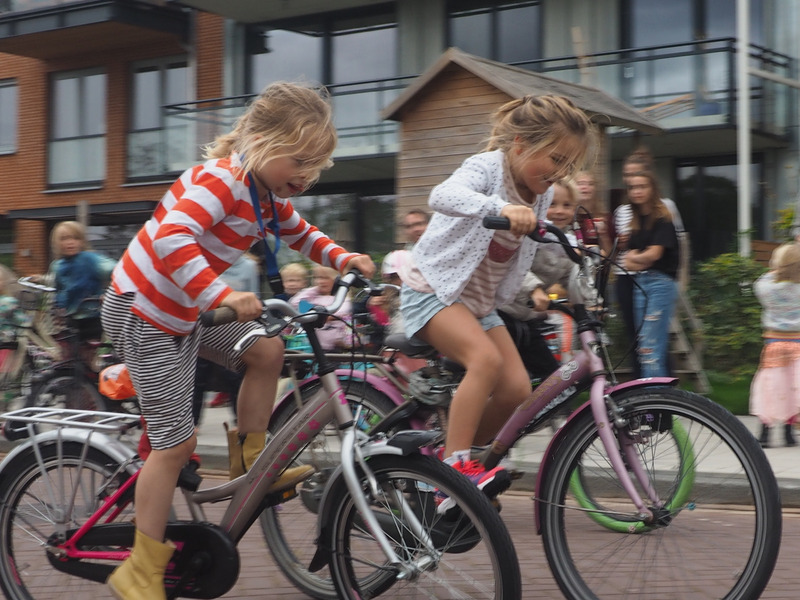 Today, on the UN’s Universal Children’s Day, the Global Bicycle Mayor & Leader Network is launching ‘Cities fit for children’, a campaign to accelerate the opportunity for young people to cycle safely in every city around the world, to improve their health. Through the campaign, all Bicycle Mayors will initiate programs that will stimulate increased, safe cycling for children in their cities, to improve their health, happiness and opportunities. This follows the success of the ‘Bicycle Heroes’ model established in Amsterdam earlier this year. 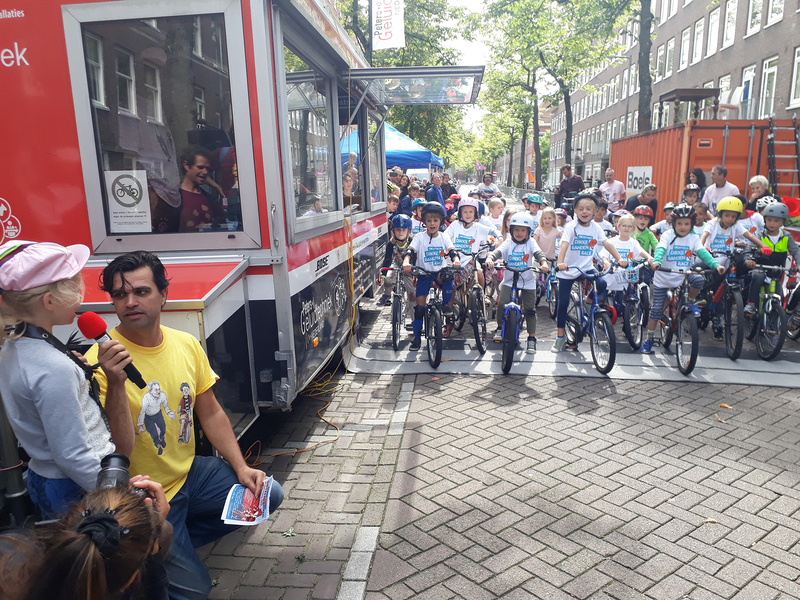 In addition, the Bicycle Mayors are calling on city leaders around the world to act urgently on the importance of safe cycling for children and help ensure every child can access a bicycle. The Bicycle Mayor & Leader Network is a global movement of city catalysts. Members identify and lead projects that can make the biggest impact for cycling in cities, and unite everyone to take action. Bicycle Mayors act according to local need but with the support of the energy and ideas from the global network. The group is motivated by the way that increased cycling radically improves physical and mental health, as well as addresses systemic city challenges around air pollution, community cohesion and climate change. The ‘Cities fit for children’ campaign recognises that cities can make most profound improvements for all people when they prioritise some of their most vulnerable citizens, children. The World Health Organization (WHO) recently found that 90% of the world’s children are breathing toxic air, and that this leads to 600,000 children dying every year because of respiratory problems. Further to this, WHO predicts that the number of overweight or obese children will exceed 70 million by 2025, which is also associated with an increase in heart disease, diabetes and other illnesses. It also report that childhood mental health is on the increase. In the Netherlands – by contrast – where a quarter of people cycle every day, children are noted as being amongst the happiest in any country on earth. 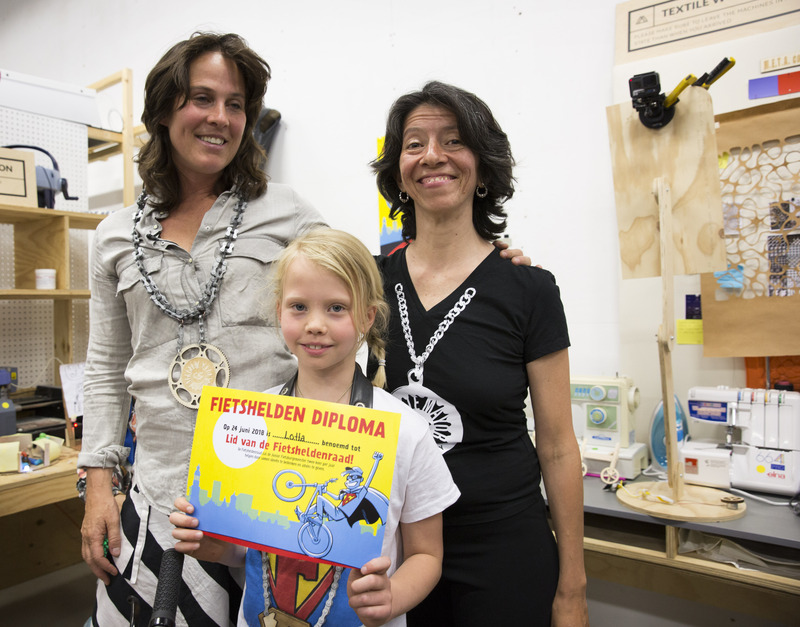 In March this year, Amsterdam Bicycle Mayor Katelijne Boerma launched her ‘Bicycle Heroes’ project to further improve cycling for young people. She helped find pupils in junior schools across the city to lead cycling progress in their schools. These ‘Heroes’ have been involved in designathons and co-creation workshops to develop new solutions for cycling access. Amongst the Heroes, one child – Lotta Crok – was appointed Junior Bicycle Mayor to represent progress for all children in the city. As part of the ‘Cities fit for children’ campaign, the Bicycle Heroes project will now be adopted by the Bicycle Mayor of Mexico City, Areli Carreon, and also by the Bicycle Mayors of Sao Paulo and Bengaluru, JP Amaral and Sathya Sankaran. Other commitments from the Bicycle Mayors announced today through the campaign include educating children to cycle in India, Brazil and South Africa. The Bicycle Mayor & Leader Network was established and is coordinated by BYCS, the Dutch social enterprise with a mission called 50by30, 50% of all city trips by bicycle by 2030. All citizens: Find out what your local Bicycle Mayor is doing and get involved in their work. 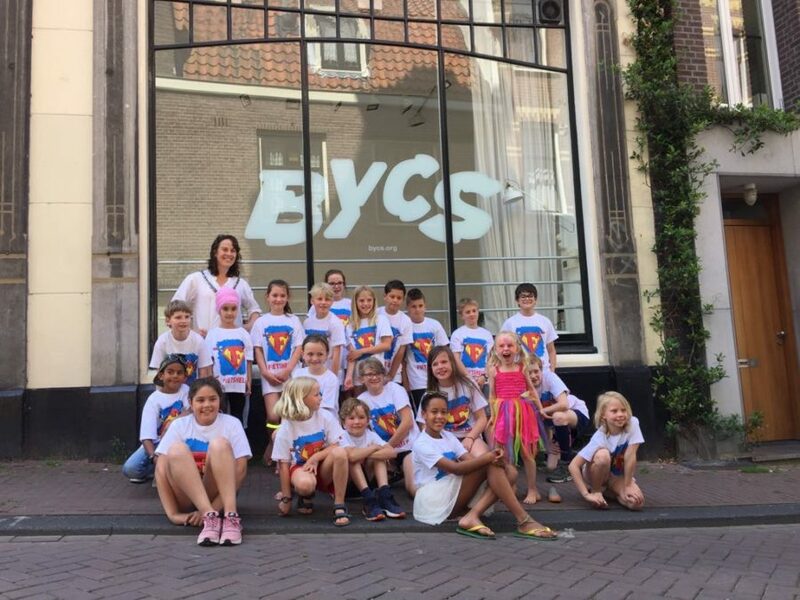 If your city does not have a Bicycle Mayor, then help BYCS to find one. Take a look at the full list of Bicycle Mayors and more info on how to elect one here. City leaders and planners – commit to principles that prioritise safe cycling for children. For inspiration and ideas on how to start transforming your city connect with BYCS through www.bycs.org or order the starter kit from our friends at Urban 95 here. Parents and carers of children: Find out about safe cycling in your city and help build cycling into your child’s everyday activities. United Nations Universal Children’s Day is celebrated on November 20th each year to promote international togetherness, awareness among children worldwide, and improving children’s welfare. November 20th is an important date as it is the date in 1959 when the UN General Assembly adopted the Declaration of the Rights of the Child. It is also the date in 1989 when the UN General assembly adopted the Convention on the Rights of the Child. Universal Children’s Day offers each of us an inspirational entry-point to advocate, promote and celebrate children’s rights, translating into dialogues and actions that will build a better world for Children. More on how you can support here.